A moment we have all been waiting for is finally here, as India has officially sealed their first Kiwi away-series win in just over a decade, wrapping up the third game of the ongoing series with a win by seven wickets. The result has helped the visitors gain an unassailable 3-0 lead with only two more games remaining. Earlier, New Zealand captain Kane Williamson won the toss and chose to bat first, indicating that the pitch would become slower as the day progressed -- a decision that was agreed upon by the Indian skipper Kohli as well. But despite the toss working in their favour, the Kiwi batsmen continued to have not much of solutions for the Indian bowlers. If it was Chahal and Kuldeep who gave the hosts a hard time in the first two ODIs, today it was the pacers. While Bhuvi and Shami worked up their usual routine like clockwork, the added entry of Hardik Pandya happened like a bolt from the blue. 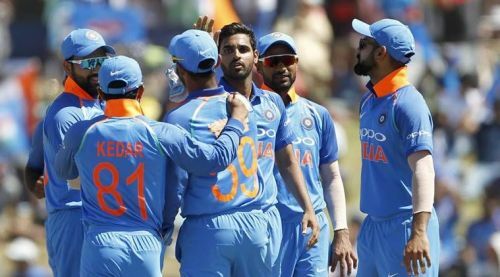 Pandya ended up with two wickets and an economy of just 4.5 across ten overs, and in addition, also showed some sprightly moves on the outfield, including a mighty diving catch to pack off Williamson. New Zealand thought they would have some respite as Ross Taylor (93) and Tom Latham (54) battled on in the fourth wicket, but India's recovery resumed as Chahal cleaned up the latter. The Kiwis' last seven wickets fell for just 65. Bhuvi, Chahal, and Hardik picked up two wickets each, while Shami got a 3-fer for himself. In reply, India started well but soon lost Dhawan. Rohit (62) and Kohli (60) combined for their 16th ton-stand in ODIs, both of them racking up individual fifties as well. Though the duo was dismissed later on in the game, Dinesh Karthik and Ambati Rayudu combined to lead the charge all the way to New Zealand's camp without any further harm. India won the contest with 43 balls remaining, and Shami (3/41) was rightly adjudged man-of-the-match. As the coin-toss proceeded, the Indian captain, Virat Kohli announced his team's changes from the lineup that was fielded in the second game. As Vijay Shankar made way for Hardik Pandya, the bigger replacement was Dinesh Karthik - in place of none other than MS Dhoni. As fans were left wondering why the sudden change was made, Kohli said that Dhoni was currently experiencing some slight troubles over his injured hamstring and that the injury was the reason why the veteran World Cup winner was sidelined. 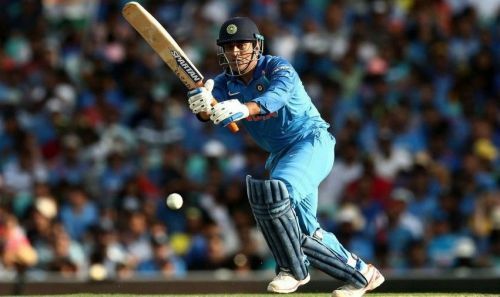 Interestingly, in an ODI career that began in 2004 December and has continued for the past 14 years since then, Dhoni has been sidelined due to injury only twice before, in ODIs. The first time was in 2007, when he was rested for 2 ODIs against Ireland and South Africa due to viral fever, while the next time was in a 2013 tri-series in Windies due to hamstring troubles. The same problem has repeated now, and Dhoni has been rested once again. All the more interestingly, Dhoni's injuries seem to come after six-year intervals -- 2007, 2013 and now 2019. It is expected that he will come back in time for the next game scheduled for 31 January.